My husband and I were supposed to go out tonight for dinner but our plans were postponed until tomorrow. Lucky for me, I usually have a backup plan. I had intended to make a Mexican styled dish for Friday but I just did not feel like making such a heavy dish today. While I was contemplating what to make, my friend called me asked if I wanted to go to one of the local Vegetable and Fruit stands with her. FUN! Brooklyn vegetable fruit stands are one of the many pleasures, I have found, while living here. Almost anytime, you can go to one of these places (that are everywhere!) and get really fresh produce and good prices. It is one the reasons why I do not are to go to any of the big chain supermarkets for produce. So we went a shoppin’ and along while, discussed different food topics and chatting about day to day topics. 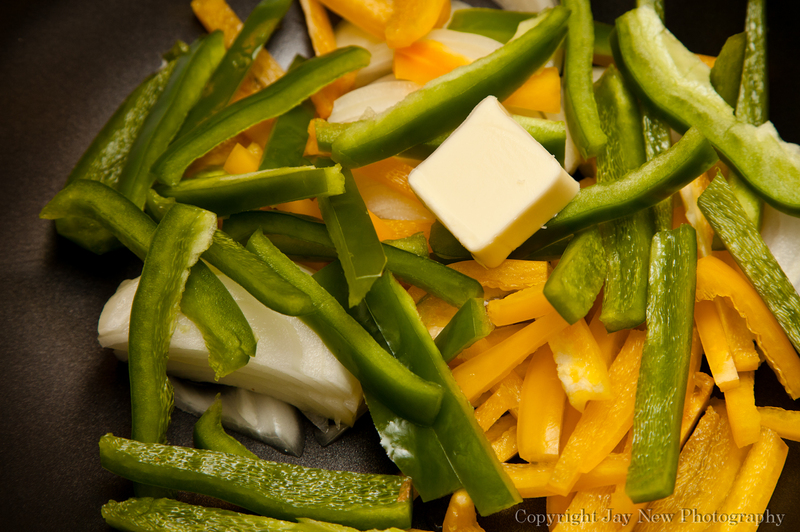 That conversation sparked a memory of a quick and healthy stirfry that I used to make, when I was living with my parents. 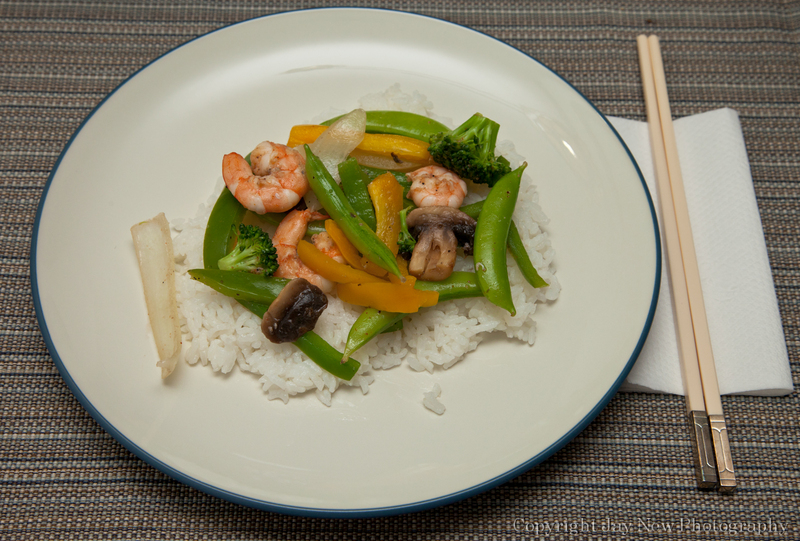 This stirfry was not an Asian-styled dish and it was very satisfying. 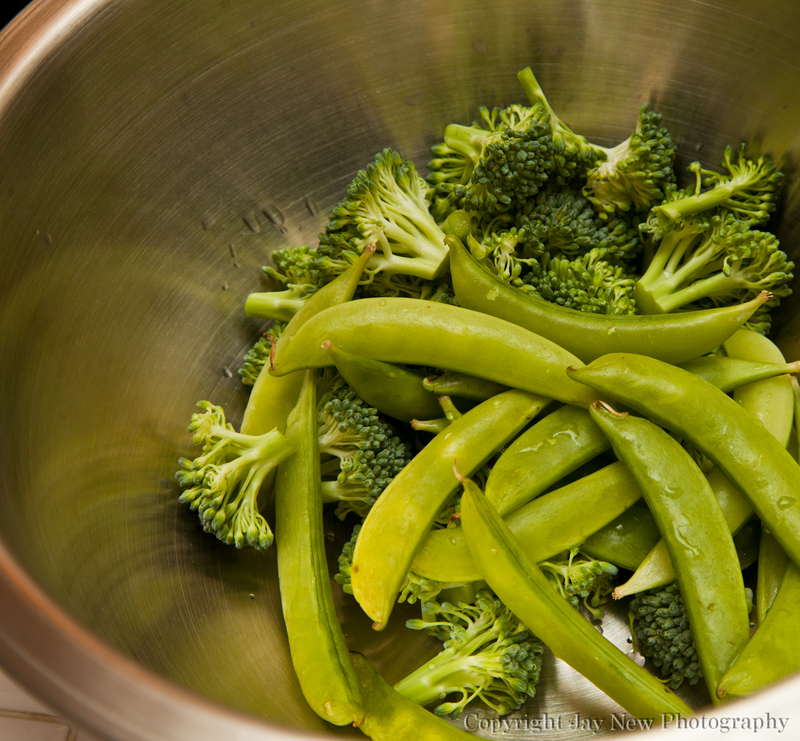 I generally only just cook the vegetables, so they are still crunchy and full of vitamins, so that makes this dish fast to make. So, I quickly purchased the necessary vegetables and purchased some shrimp. 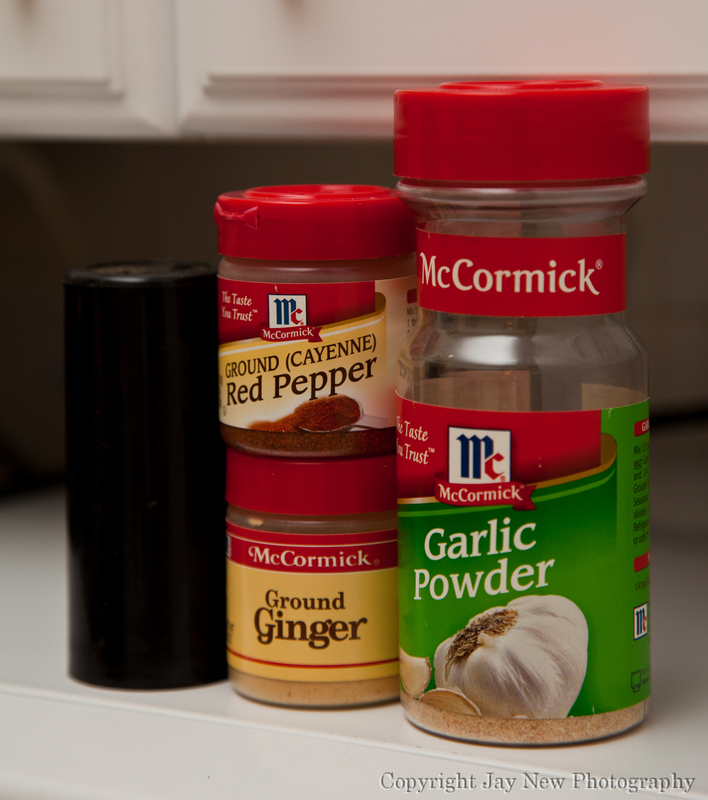 Add seasoning to shrimp and allow it to marinate while you are cutting up your vegetables. Ready to Get Stir Crazy! 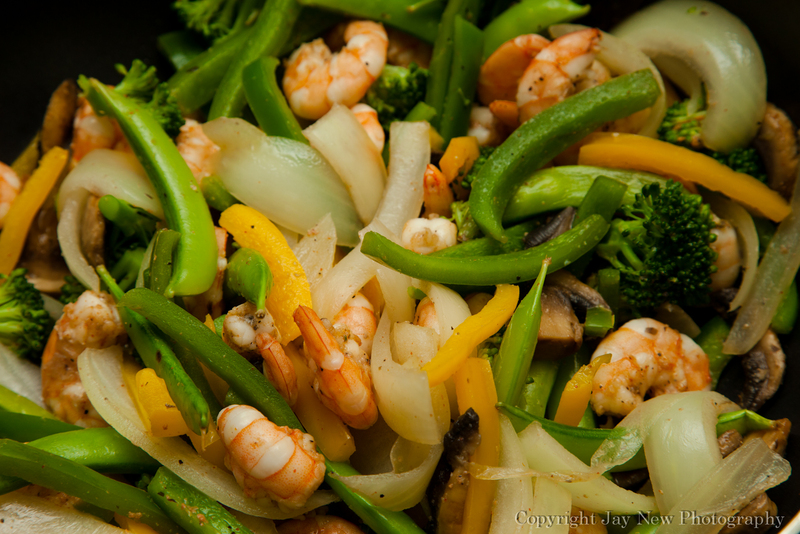 I love the close up picture my husband took 🙂 Fresh ingredients always brighten my day. Looks yummy. 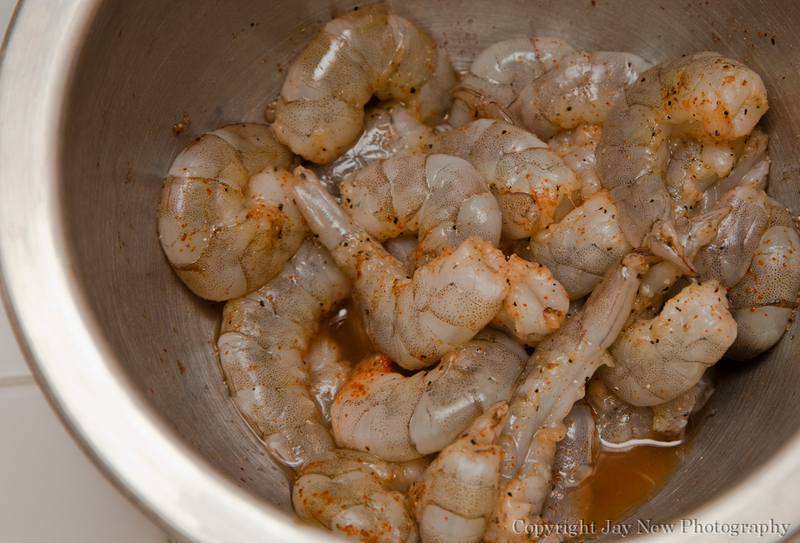 I always get the shrimp with the shells on and remove them myself, I use the shells to make seafood stock! Great idea! I have never made seafood stock before (never had recipes that needed them…as yet) I am going to try making some, the next time I make shrimp!